Shortly after leaving the presidency, Thomas Jefferson returned to his country home just outside of Charlottesville, Virginia. 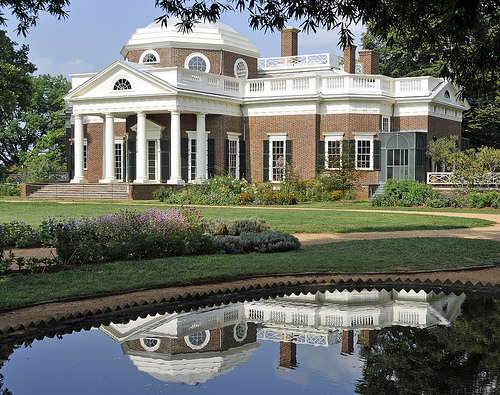 That estate is known as Monticello, and there’s a fair chance you’ve heard of it. 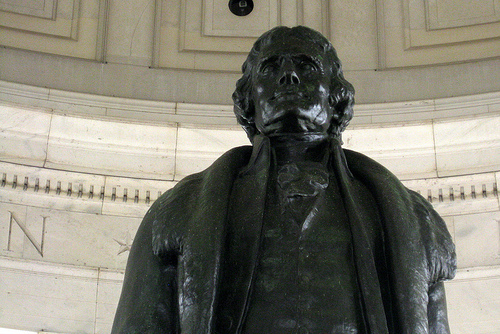 Besides his role in America’s founding, Jefferson was also a scientist and gardener. The vegetable garden behind Monticello was his personal laboratory. Jefferson grew dozens of plant species and hundreds of plant varieties. As each variety matured, he would carefully select the better specimens to seed future generations, taking meticulous notes on his observations. (Note that this is how heirloom agriculture works). I have lived temperately, eating little animal food, and that . . . as a condiment for the vegetables, which constitute my principal diet. 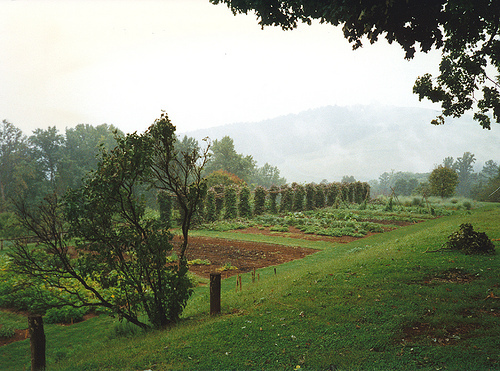 Today, Jefferson’s vegetable garden lives on at Monticello. This is the dominant public memory of Monticello today. It’s really just a nice, old house in the country. This panorama gives a nice view of the general vegetable garden area. Here’s another view of the garden. As you can see, it’s not that big. 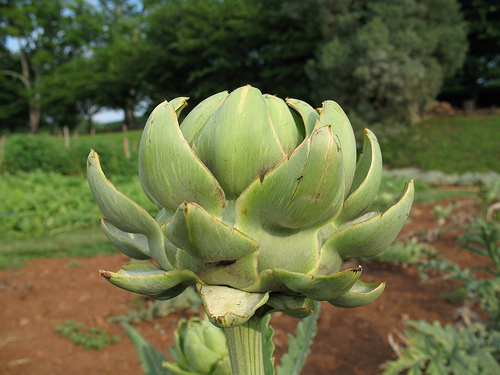 No photo tour could be complete without an artichoke. You have to wonder if this specimen has ancestors chosen by Jefferson’s own hands. I was in Charlottesville, Virginia last Fall but didn’t have a chance to swing by Monticello. If I go back this year, it will be a requirement.